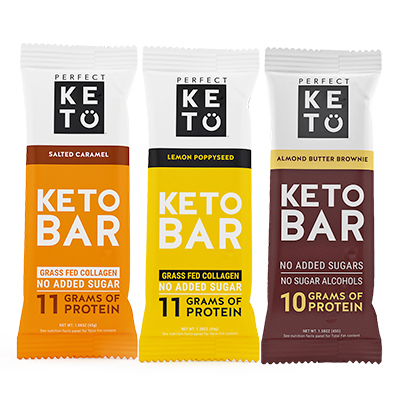 Keto Bars are the perfect on the go snack made with REAL ingredients. These bars are made with 10 grams of protein from collagen (no whey! ), only 3 grams of net carbs per bar, and sweetened with stevia. 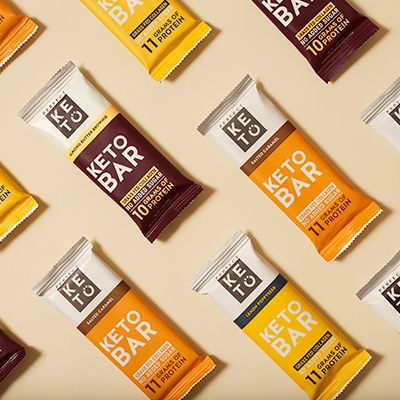 The best part: Keto Bars were meticulously developed by Perfect Keto, which means you can trust that this product will not spike your blood sugar, and only includes the highest quality ingredients. I love these bars because they’ve got a more crumbly texture, with little nuggets of cacao butter goodness. 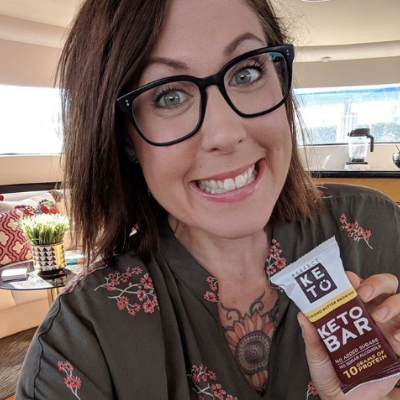 Keto Bars are a great option for me because I react to the typical protein bars made with whey. Like I said, these bars are sweetened with stevia, so if you’re not a stevia fan, this is not the bar for you. Pro tip: the cacao butter in the Keto Bars gets a bit melty at room temperature, so if you want little nuggets of cacao, store them in the fridge.